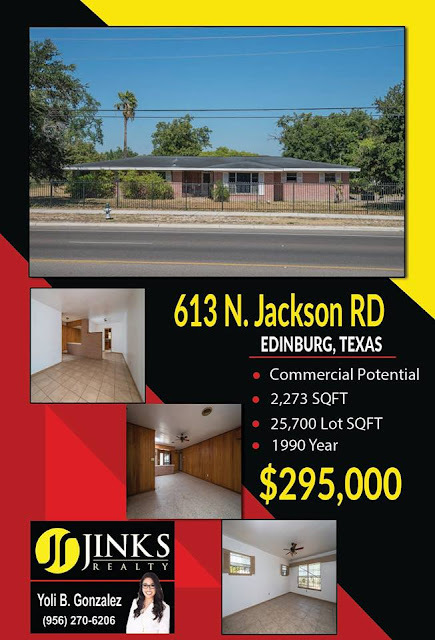 Great Investment Opportunity situated in the heart of Edinburg, TX across the street from the UTRGV campus that drives large amounts of foot and vehicle traffic. It is located near numerous eateries, restaurants, and entertainment venues. From the intersection of University Dr. and Jackson Rd. travel North on Jackson Rd. The property is located on the West side of the road across the UTRGV Soccer Stadium before the intersection of Jackson Rd. and Schunior St.